A lot has been – and will be – said about the current state of Transatlantic relations, not as if we haven’t experienced a similar divide after the Iraqi invasion of 2003. One of my mentors once said, Europe loves to hate Republican presidents, and if we look at the patterns of the last few decades, there is some truth to this bon mot. European leaders at the moment are trying to forge domestic political advantages by rejecting and standing up against the current US Administration, however this is only a temporary phenomenon, since President Trump will be out of office by 2024 at the very latest, and Europe might fall in love with the next US president the exact same way they embraced then-Senator Barack Obama when he visited the Old Continent as a presidential candidate. Looking at the current state of Transatlantic affairs, the vantage points of Western Europe and Central Europe are significantly different, due to national security and economic reasons. While most of the countries of NATO’s Eastern Flank are concerned about a resurgent Russia, hard security guarantees override any other concerns the leaders of these countries might have about the current US Administration. And deeds are more powerful than words: the US has vastly expanded the funds available for EDI, the European Deterrence Initiative, Central Europe is hosting an unprecedented number of military exercises, US armor is back in Europe, while defense spending is steadily increasing in frontline states like Poland, Romania and even in Hungary. Central European leaders feel much closer to a US president who shares their agenda and concerns on security and migration, than to a president who stood in their opinion for an out-of-sync progressive agenda. Obama‘s promotion for transgender issues, for example, is still seen in Hungary as a symbol for policies that are not in line with the voters’ concerns. The decline of Transatlanticism is therefore not the view most Central European governments share, regardless whether they are close to President Trump ideologically or not. Western Europe on the other hand, which does not necessarily feel physically threatened by Russia (or maybe even wants to work more closely with Moscow to reap the economic benefits) has the opportunity to be more critical of the US. Since hard security guarantees do not play a significant role, these countries can even criticize the increased US military presence in Europe, as something that will only reinforce Russian grandstanding. As Western European countries do not need US troops on their soil to act as an insurance policy in case of a Russian attack, the leaders of these countries can and do take a more combative approach when it comes to dealing with the current White House administration. Europe’s politically motivated rejection of President Trump (once again, regardless of the political colors of these European governments) signals the crisis of the traditional political parties. These traditional parties have so far failed to read and adapt to the changing electorate. Globalization and the 4th Industrial Revolution is changing national politics too: as we see it from the examples of Bernie Sanders and Donald Trump in the US; or the Movimento Cinque Stelle, Alternative für Deutschland, Syriza, Podemos or the La Republique en Marche in Europe. Terms like open, or globalist* and closed, or sovereigntist are overriding the traditional left-right divide. Movements with confused ideology, a minimum level of organization and cherry-picked policy objectives are driving centuries-old parties like SPD in Germany towards irrelevance. Curiously enough, societies on both sides of the Atlantic are facing the same dilemmas and tend to apply the same solutions – which show why the Transatlantic relationship is structurally determined to last. Deep under the surface of daily politicking lies the core of the Transatlantic relationship, and that is the European heritage of the United States. The values and aspirations the Pilgrims have taken with them when they left their homeland, the achievements of Enlightenment and humanist principles are still the bedrocks of our political systems. Principles like all men being created equal, the universal right to equally before the law, the ultimate faith in the value of human life and all the other basic truths enshrined in the Bill of Rights will shape our thinking regardless, which political party we vote for, or the color of our skin. No political leader will change these values, and this is also the reason why it is still too early to mourn Transatlanticism. Or to put it bluntly, the mere fact that we seek a change in government by the ballot is something that still sets the Transatlantic community apart from much of the world. Trade and investment also bind the two sides of the Atlantic Ocean together. Laissez-faire capitalism, the protection of intellectual rights and entrepreneurship are the cornerstones of our economies. The US and the EU are the two largest economies in the World, and even though the US withdrawal from TTIP negotiations have meant a significant setback, we still trade with and invest in each other’s markets. In my opinion, the first sign of a truly and structurally deteriorating Atlantic relationship will be a sharp decrease in bilateral trade, as a result of a trade war ignited by either side. Capitalism still binds us together, but it also shows the limits of what the Transatlantic relationship can endure. Once it becomes more profitable to trade with others outside of the Atlantic community and it will be worth leaving our Transatlantic partners behind (as a result of increased tariffs and other barriers), the economic case for cooperation will be missing right away. Therefore, having more Mercedes SUVs in New York City and more Ford Mustangs in Frankfurt are of vital importance, even though these are not so spectacular as a G7 summit that went wrong. Politicians come and go as elections are peacefully changing governments in the Atlantic community. Sympathies – both personal and political – are always changing, but our Judeo-Christian values, the ultimate, overriding faith in the value of human life and aspirations, as well as the foundations of our economic systems will remain to bind us together. Exactly a hundred years ago, Oswald Spengler has published the first volume of his seminal book, the Decline of the West, and many other have predicted that the West will soon be passé. Surprisingly enough we (or the Atlantic community, if you want) are still the most powerful economic, military and political force in the World. Keep calm and carry on. 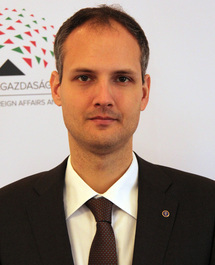 Márton Ugrósdy is the director of the Institute for Foreign Affairs and Trade in Budapest, Hungary. His research interests cover transatlantic issues, energy security, and US foreign policy in Central and Eastern Europe.